The Stone is 26 inches long, 16 inches wide and 11 inches high (660 x 400 x 280mm) and it weighs 336 lbs (2.5kgs). It is sandstone although some believe that the Stone in Westminster may be quarried in Oban or Perthshire. The Stone, it is claimed, was the pillow on which Jacob had his biblical dream about angels and the stairway to heaven. It is believed to have been brought to Ireland by Phoenician traders escaping religious persecution. Later taken by the Irish Dalriada to Scotland to install Monarchs of this territory at Iona, Dunadd and later Dunstaffrage. Kenneth McAlpine finally brought the Stone to Scone. Its importance as a symbol of Scottish Monarchs was not overlooked by the English who stole the Stone in 1296 and took it to Westminster. Although many believe that the Stone was replaced by a copy during this period to fool the invaders.This replica can be viewed at Scone Palace near Moot Hill in Scone. Scotland's Stone of Destiny is the most famous symbol of both Scottish nationhood and the British monarchy. This is the first full-length, fully researched and illustrated study of its history, mythology, and cultural significance. 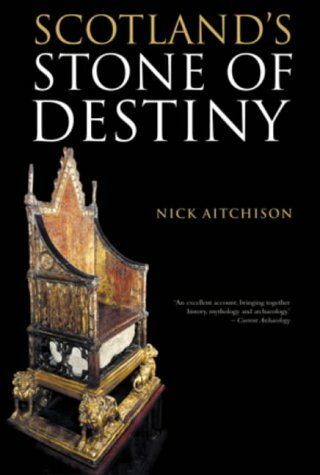 The author traces the origin, evolution, and function of myths surrounding the Stone, and the ancient prophecy that gives the Stone its name. 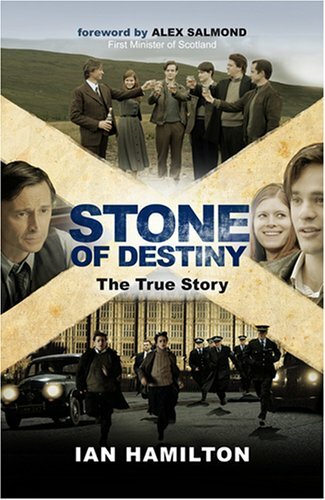 The Stone's much-disputed authenticity is assessed, and its rich symbolism discussed.